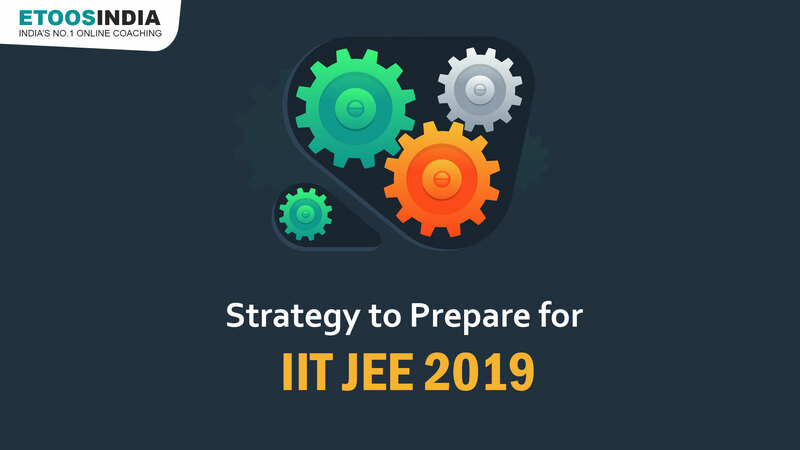 What should be the Strategy to Prepare for IIT JEE 2019? How to prepare for IIT JEE? – IIT JEE shall be held in two stages – JEE Main and JEE Advanced. JEE Main is likely scheduled for Jan & April and JEE Advanced for May 2019. Candidates who are serious about cracking these tough engineering entrance exams to enter their dream engineering college must have already started with the preparation. It requires at least two years of rigorous training and hard work to get through these exams. Here is a simple yet effective Strategy to Prepare for IIT JEE Mains & Advanced Exam. “If you set your Target and Study well, you will crack your Dream Exam. You should clear Your Concept and Solve Previous year Question paper for your JEE Examination” – said Dhruv Arora here topper suggest some exam preparation tips for IIT JEE. In order to be successful at anything you do, it is essential for you to learn good time management skills. While preparing for JEE you must particularly manage your time efficiently as most of you require preparing for CBSE Class XII and JEE simultaneously. The syllabus is vast and time-limited and thus it becomes imperative to manage the time properly to make optimum use of the same. The best way to manage your time efficiently is by preparing a schedule and going by it. IIT JEE online coaching is one of the best things that has happened to IIT-JEE aspirants. It offers the privilege of viewing lectures over and over again until you understand the lessons thoroughly. You also get the ease of taking your lectures at a time and place suitable to you. This does not only offers a better learning experience but also helps manage your time better. Whether you seek online coaching or the conventional classroom coaching, if you do not take out time for self-study to learn the chapters simultaneously all the effort will go in vain. Self-study is of utmost importance and it must be done on a daily basis. Merely seeking coaching will not help if you do not study the chapters on your own. Do not just learn your chapters once and leave them, come back to them again and again to revise them. Revision is an ongoing process and it must be done simultaneously as you study and learn new chapters. The more you will revise your chapters the better prepared you shall be. It is essential to give best online mock tests and solve previous years question papers regularly in order to understand how much you have learned. Solving these also helps enhance your analytical and problem-solving skills. These are designed as per the examination pattern and hence give you a complete idea about the number and kind of questions included in the exam. It is suggested to solve these within three hours in order to manage your time efficiently during the exam. Numerical form a good part of the JEE syllabus. Merely being thorough with the formulae and procedure to apply the same is not enough. It is important to practice numerical over and over again in order to be good at them. Giving online mock tests helps identify your weak areas. You must then work on these weak areas to strengthen them and prepare better. Clarify any doubts related to the same, learn them thoroughly and revise them repeatedly to brush up on these. This strategic plan is simple and can yield great results. Do try these strategies and let us know how they helped.